Walking with Charlotte and out from the trees there suddenly appeared a shadowy bird, swooping very low and closely over our heads. A Red-tailed Hawk! He perched for a moment on a nearby limb, turning his head in all directions, hungrily triangulating the landscape for a tasty meal. Next he flew to a nearby telephone pole, and then over the houses towards the Harbor. A few minutes later the Red-tailed reappeared, followed by several crows noisily haranguing and giving him the business, in no uncertain terms! 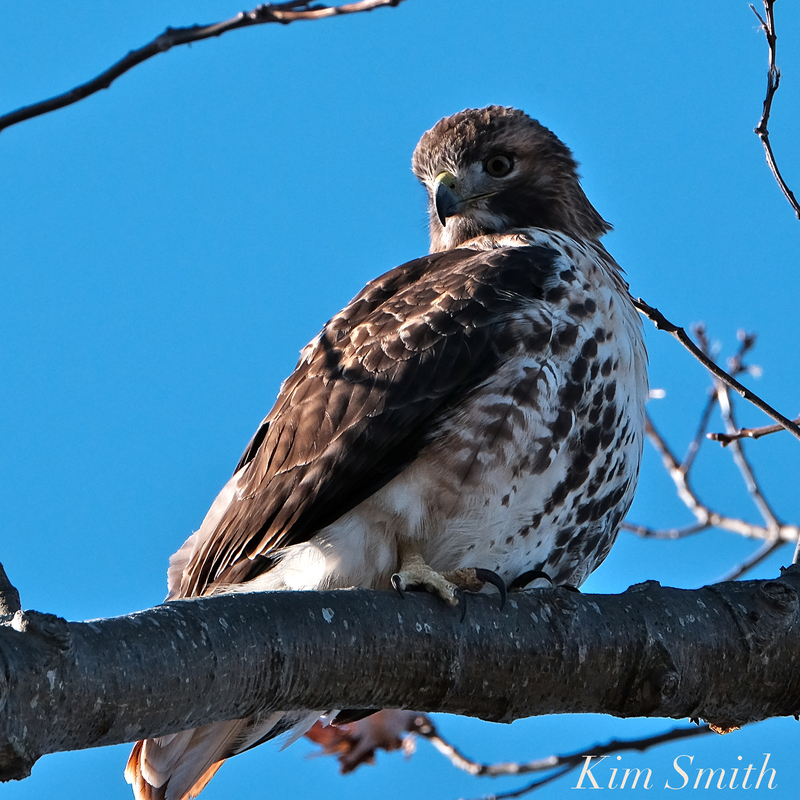 This entry was posted in Birds, Cape Ann Wildlife, Life at the Edge of the Sea and tagged Beautiful Birds of Cape Ann, Buteo jamaicensis, Eastern Point, Red-tailed Hawk, Red-tailed hawk flying on December 11, 2018 by Kim Smith.